1Password does not detect a new password or offer to save it. A site that used to work with 1Password no longer fills in your information correctly. Follow these steps to force 1Password to save new login information for any page that is not working properly with 1Password. Visit the sign-in page for the website where you want to save a Login item. Enter your username and password. Do not press Enter or click Sign In. Click the 1Password button in your browser. If 1Password is locked, enter your Master Password. Click and choose Save New Login. Give your Login item a unique name, then click Save Login. 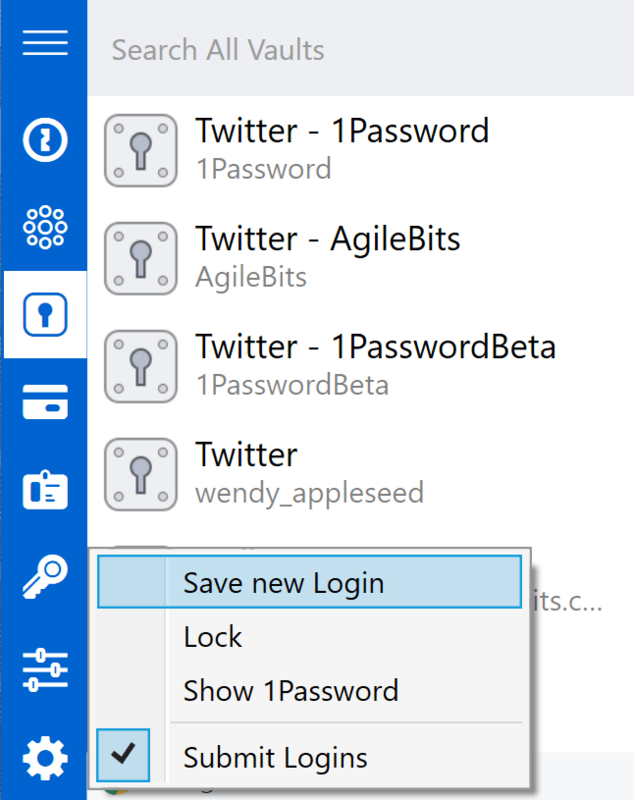 You can then use the new Login item to sign in using 1Password. 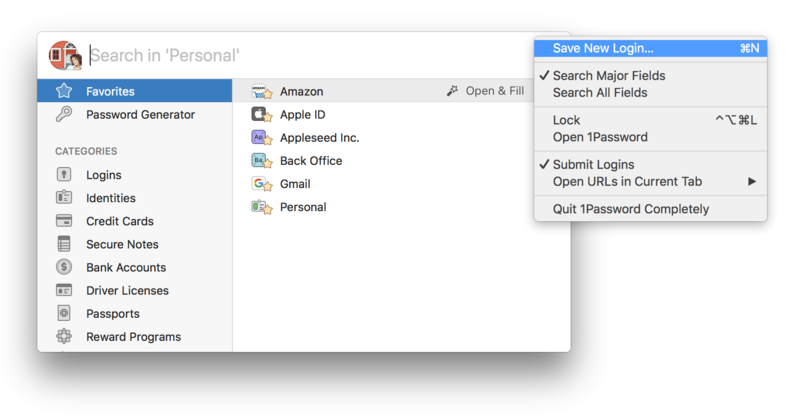 1Password should automatically prompt you to save new usernames and passwords on most websites. If you find you always needing to follow these steps to save new Logins manually, see our extension troubleshooting article.